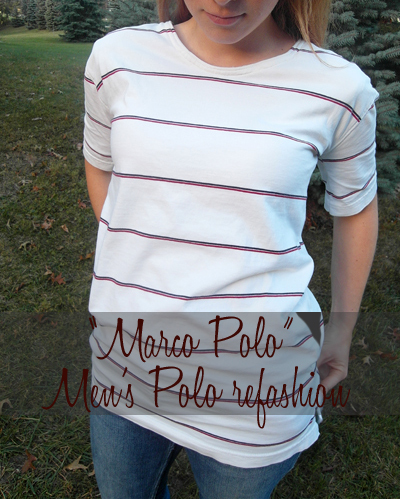 ' Men's Polo Refashion Tutorial - Sisters, What! If you saw my glass' post, then you've already seen this shirt (which was done a while ago). I've seen many polo refashions before, but I haven't really had any men's polos to try them on, until recently when the husband got rid of a few. 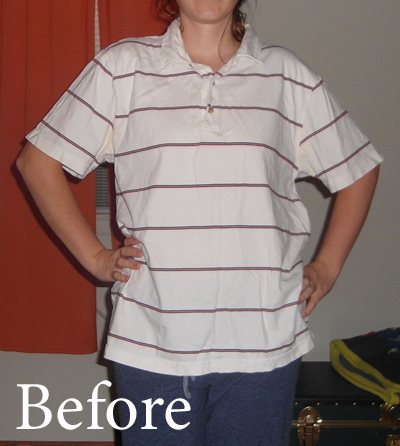 This was probably the easiest and quickest shirt refashion that I've ever done. 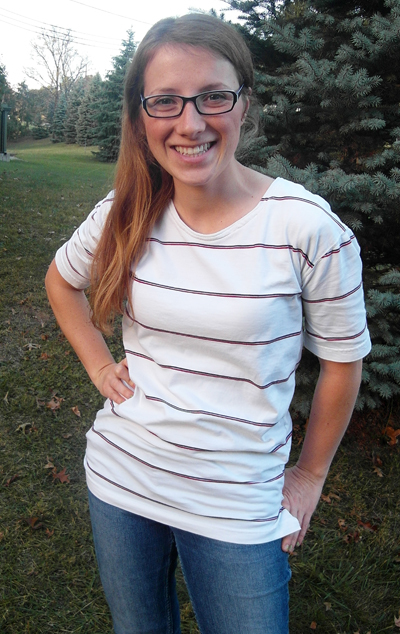 And it's now one of my favorite and most comfortable shirts. 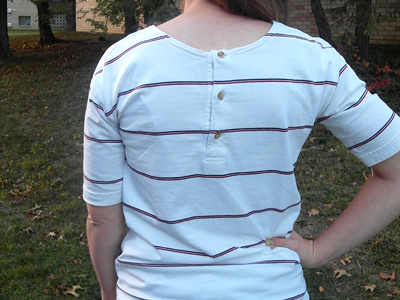 I didn't want to deal with removing the frontal buttons and having a really scooped necked shirt so I decided to just keep the buttons and make them the back of the shirt. Yes, it's a little different to have the buttons down the back, but super comfortable and I think it looks better that way. 1. Decide the shape you want and sew in the sides and arms to fit you accordingly. 2. Carefully seam rip the collar off. 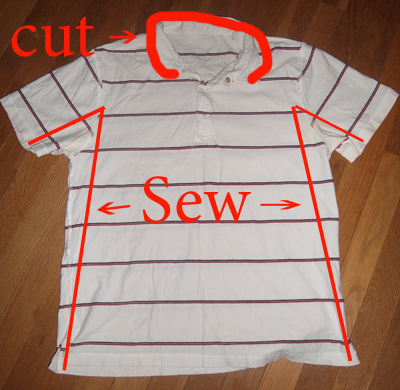 3. then carefully fold down the seem of the top collar and sew. And your done. I don't sew, but this makes me want to learn! So cute, love the buttons in the back.